DxO has just announced the DxO ONE, a camera module that connects to your iPhone or iPad which they claim to deliver DSLR quality photos. At 3.8 oz (108 g) and 2.65” (6.9 cm) tall, the DxO ONE is so small that it easily fits in a pocket, yet it features an ultra-high quality f/1.8, 32mm equivalent aspherical lens with a variable 6- blade iris and a 1-inch 20.2MP CMOS BSI sensor capable of capturing high-resolution images even in very low light. The DxO ONE attaches via the Lightning connector, turning the iPhone’s display into the camera’s viewfinder. You can also swivel it ±60° for greater flexibility. “The image quality of the DxO ONE is stunning,” said Jerome Meniere, CEO and founder of DxO. A free iOS app enables control of the individual settings on the DxO ONE camera, including aperture (from f/1.8 to f/11), shutter speed (from 15s to 1/8000s), and ISO (from 100 to 51200). 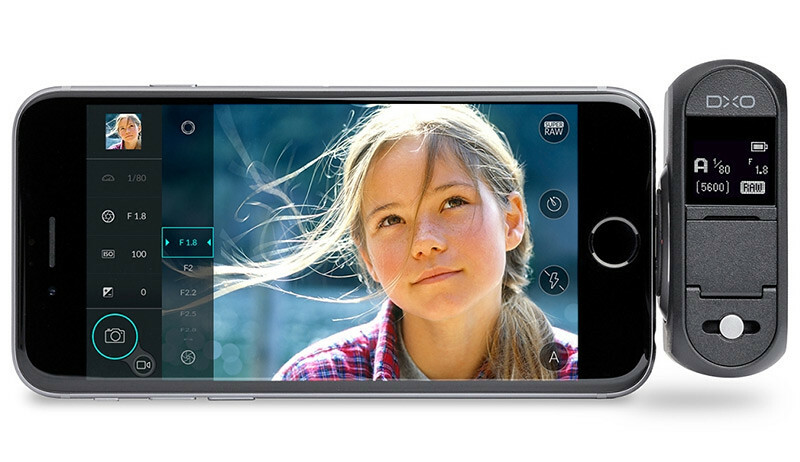 In addition to an Auto mode, the DxO ONE app offers various capture modes, including multiple Scene modes, Speed, Aperture Priority, or full Manual mode – and the camera interface automatically adapts to the selected mode for a unique user experience. 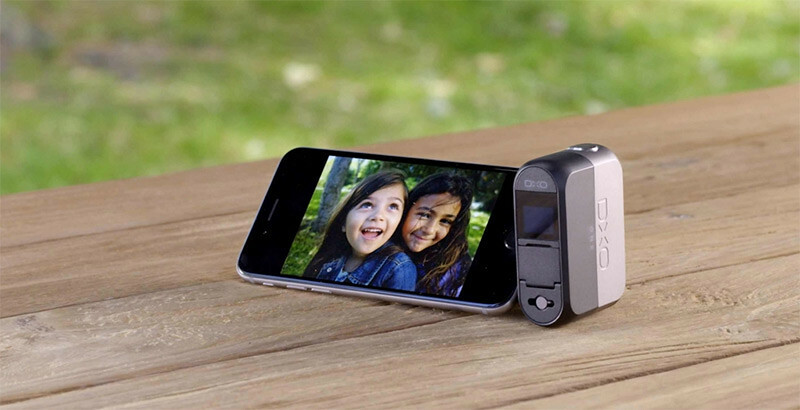 The DxO ONE also records video at 1080p/30fps or 720p/120fps.